Thai Massage is known for its work on energy lines, called Sen lines in Thailand, and for its many stretches that often resemble yoga moves. Most Asian bodywork is based on the concept that there is a system of energy lines in the body. If they are blocked, health problems develop. Unblocking this energy flow results in improved health. In Thailand this energy is called Sen, in China Chi, in Japan Ki, and in India prana. How do you work with energy? There are various ways of working with those energy lines. Acupuncture uses needles on specific points along the lines. Qigong uses gentle movements combined with breath. Yoga uses a variety of methods to open the energy. The best known in the western world are yoga asanas or postures. Thai Massage uses pressure along the sen lines. All schools in Thailand teach students how to work those energy lines extensively. However in actual practice the sen lines are often not worked on in text-book fashion. Why is that? There is a difference between theory and practice. In this case the practice involves the therapist’s health and longevity. 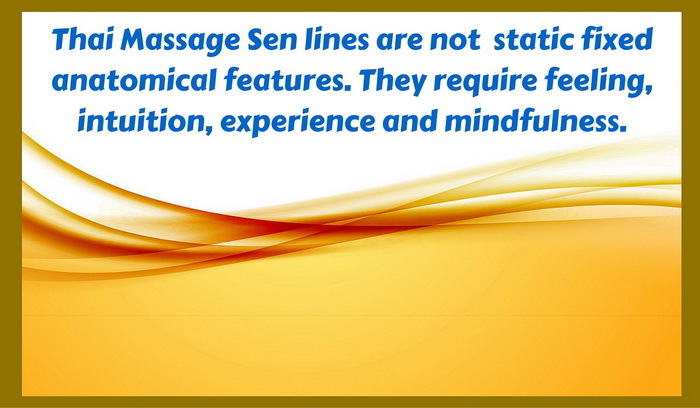 There are compelling reasons why therapists often modify the text-book sen line approach in Thai Massage. There are six major energy lines on the legs, six major lines on the arms, and four major lines on the back, along with several lines on both feet and hands. In order to effectively work those lines, a good amount of pressure is needed. If every therapist would work all those lines all day long on all their clients, they would risk burning out their thumbs and their career right along with it. Especially working on large and muscular people strains thumbs considerably. 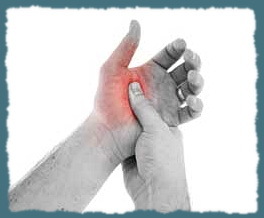 Therefore most therapists wisely use alternative methods like palms, forearms or elbows. This does not allow the precision approach that can be done with the thumbs, but it is still effective, and it will preserve the career of the therapist. Some therapists have very strong thumbs and they are able to use them a lot, while others are physically not able to use them as much. Without any doubt, the preservation of the massage therapist’s health is more important than following a traditional system of therapy through thumb pressure. However, rather than seeing this as a drawback, it is actually one of the greatest strengths of Thai Massage that the therapist has a choice to work with many body parts including thumbs, palms, forearms, elbows, knees and feet. 2. There is no agreement among the major Thai Massage schools about the exact location of the sen lines. Sen line work is not about finding a specific point on an anatomical chart, pressing it, and expecting something magical to happen. Energy line work in Thai Massage is more of an art than a science. It requires a refined sense of touch, a well-developed intuition along with the theoretical knowledge base. The reason why the lines are not easy to locate is that they are not actually physical lines. In addition, energy lines can move. They are not frozen in fixed locations. You trace them along the physical body, but the lines themselves are not actually in the anatomical structure. Working on the Sen lines with accuracy and therapeutic success requires more than technique. It requires intuition and specific training which focuses on developing energetic skills. Thai Massage is a very versatile system and can be done in various ways – in a therapeutic mode, in a relaxing mode, or in a yoga-like high-intensity stretch mode, or any combination of them. Thumbing all the Sen lines is not the most suitable method for a relaxing massage. Strong pressure along the sen lines can feel uncomfortable and is best suited for therapeutic applications. Although Sen line therapy is an important part of Thai Massage, in actual practice it is not done every time, or at least not in textbook fashion. Let me share my personal story with you. It all started with a problem that turned into an opportunity. Early on in my Thai Massage career I followed the traditional method of doing lots of Sen line thumb work. After a few months I developed a serious inflammation in my thumb joint that took over a year to heal. This was my inspiration to develop a style of Thai Massage which focuses first on preserving the therapist’s health. Internal energy can be activated and stimulated in various ways. The traditional Thai Massage thumbing techniques are one way, and there are other options. One excellent method is motion techniques like circling and rocking which are highly effective for activating energy flow. They are much easier on the therapist and more pleasant for the client. At Thai Healing Massage Academy we have developed them into an art form. We use highly effective methods to stimulate energy, both with traditional Thai methods and with our motion techniques. The motion elements often generate a delightful feeling of warmth and tingling throughout the client’s body. Client feedback has been confirming the effectiveness of this style of working with energy, and therapists have expressed relief and appreciation for being able to work in a therapist-friendly way without stressing their hands. At Thai Healing Massage Academy we focus on teaching a way of working with Thai Massage which eliminates risk to the therapist’s hands, wrists or thumbs. We have created effective and therapist-friendly methods of doing sen line therapy. We use traditional and alternative methods like rocking techniques. Thai Massage does not have to be a static process that requires you to use traditional methods exclusively. There is an evolution in massage techniques, and there are many adaptations and improvements that can be made. 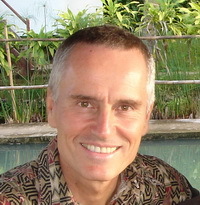 Even here in Thailand some of the best known and most effective Thai Massage teachers have all developed their own styles and their own techniques. Most dedicated long-term massage therapists will eventually develop their own style. Thai Massage lends itself very well to such an evolution since it offers an incredible amount of techniques along with many body parts to do them with. There are some traditionalists who will not consider anything outside of strictly traditional Thai Massage methods. But there is no need for all of us to agree on everything. The world is getting richer with more massage styles, techniques, adaptations, and skills. Our choice at Thai Healing Massage Academy has been to not focus on the traditional Thai Massage Sen line thumbing method alone. Instead we have developed therapist-friendly alternative methods of moving energy which are working very well for our students. These methods have proven highly effective, and, based on our experience, they can be the best choice for the health and longevity of the therapists. 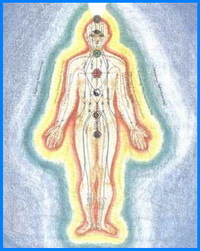 Painful points on the senlines or whatever spot on the body indicates that the energy flow is stuck at that spot. One can apply (thumb) pressure to break through the resistance, but thats painful. Working around that area to re-establish the energy flow with strokes or rocking movements will do the job. Thank you Shama for your wise experience on this subject. I love the idea of rocking.I have had some one tell me it had been years since they had been rocked and they enjoyed irecieving this. I also enjoyed giving this gift of nurturing isince i myself felt the energy flowing theough me as well. You will see that I use rocking quite a bit in my Thai Massage training. It is a very useful and flexible way of working. It feels great for the client and it is easy on the therapist. Hello Shama i ve read the article on the Sen lines and your arguments are laudable. Thanks for sharing all this. Rocking is very key in practice it keeps me in the flow of the present moment and the recipient has a hard time resisting the relaxing benefits from it. I use rocking and shaking quite a bit. In loving kindness, be well.